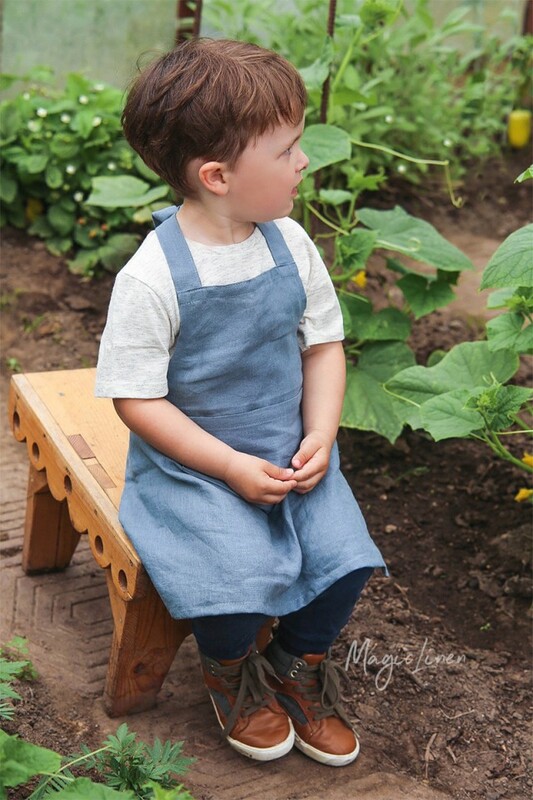 Linen apron for kids available in all MagicLinen home textiles colors. 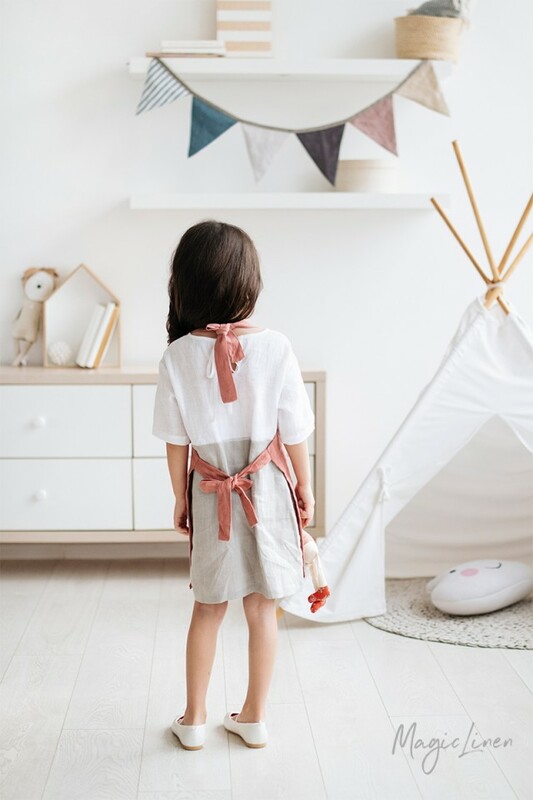 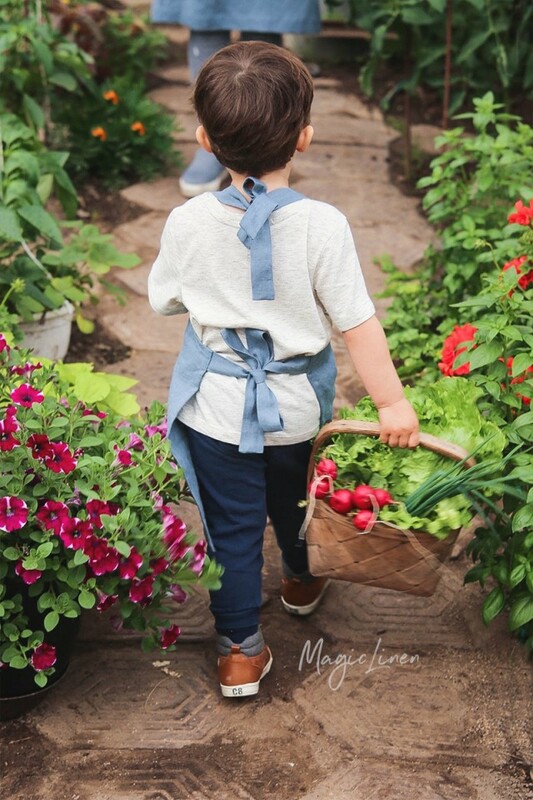 Keep your little helpers stylish, comfy, and clean with this adorable linen apron. 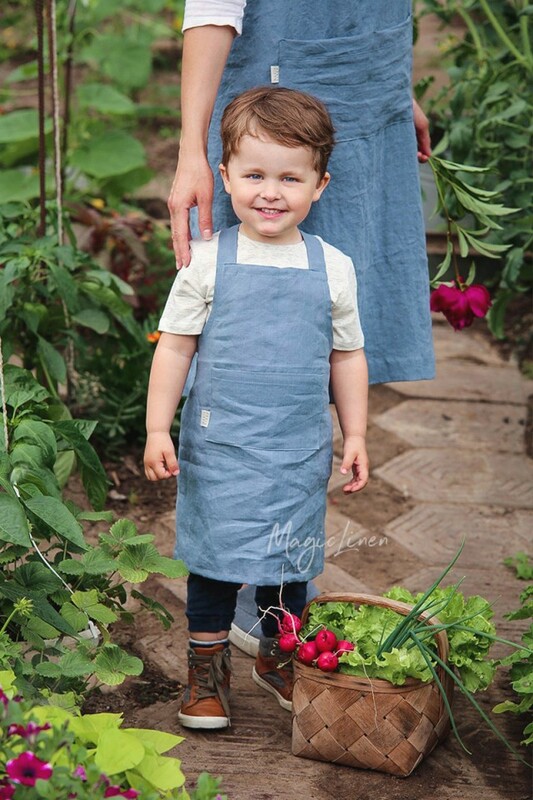 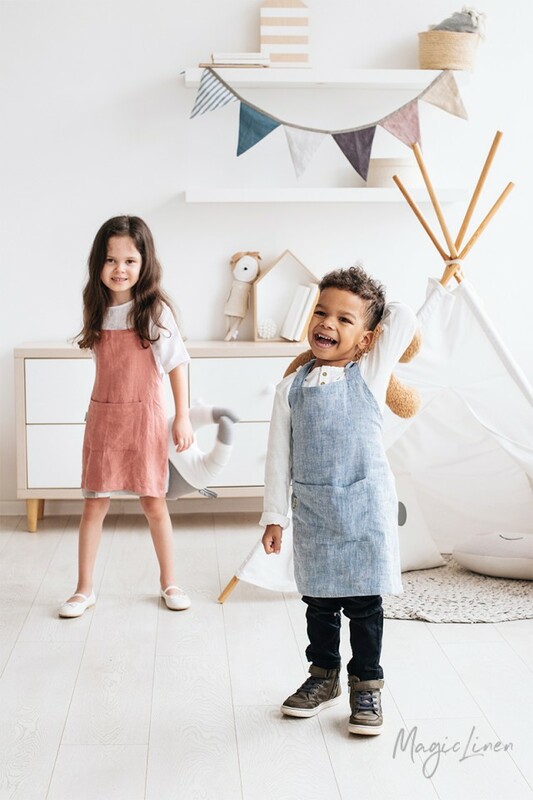 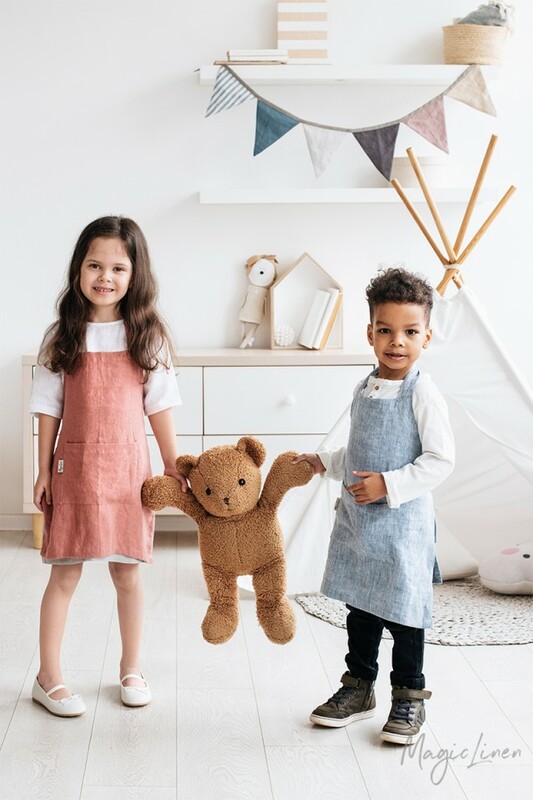 Designed to have a unisex look for both boys and girls, these aprons are sized to fit children in three age groups: from 2 to 4, from 4 to 7, and from 7 to 10 years old.